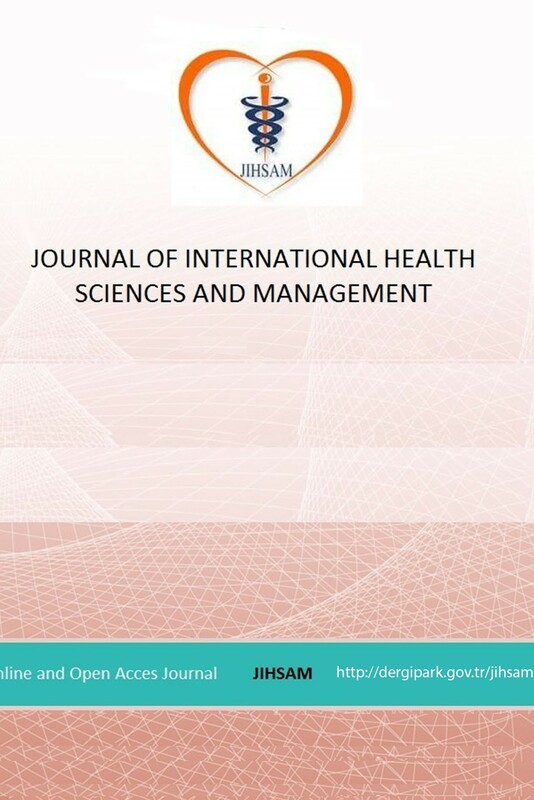 Journal of International Health Sciences and Management (JIHSAM) aims explain the relationship between management/ administration and health sciences. The JIHSAM includes healthcare management/ administration, public health, clinics and case management/ administration, dental management, pharmaceutical economics and management, nursing management and health planning, policy and management, and other health management issues. Journal of International Health Sciences and Management (JIHSAM) is intended to be a vehicle for the exploration and discussion of Health Sciences and Management issues and is aimed in particular at enhancing communication between Health Sciences and Management researchers, the globalization of healthcare services, international patient transfers (medical tourism), hospital management, organization behavior of health institute, patient rights and safety and satisfaction, health policy and health reforms, health economics and quality of life. The other healthcare management topics are political philosophy and health policy, spiritual health, history and philosophy of health and healthcare, global cooperation and development for quality in healthcare, health accreditation, risk management in healthcare organizations, health law, quality assessment of health, patient and employee satisfaction occupational health and safety in health care, financial management in healthcare, harassment in health institutions, corporate culture and commitment institutes of health, procurement and purchasing in health institutions, material and device management in healthcare organizations, performance management in healthcare organizations, health information systems, management and organization in healthcare, accounting and finance in healthcare organizations, strategic management in health care, production management in health care, health economics, health policy and planning, marketing in healthcare, health reform, disaster management in health care ,public relations in health institutions, health and social security systems, health insurance, health communication, healthcare management and ethics, country comparisons of health systems, health statistics, risk management in patient and employee safety ,patient rights in an international perspective, innovation in healthcare services, human resources management in healthcare, professionalism in health management and information security in healthcare organizations. To achieve the journal's objectives, authors are encouraged to write in an on-technical style, which is understandable to health policy practitioners and specialists from other disciplines and in other countries. (1)"Samples of the best practices in health management" of around 2,000 words (excluding abstract and references), concentrating on proposed, discussed, just passed and/or implemented management in one of the Health Systems and Institution. These do not have to present empirical data but analyze actor sand processes. (2) "Full-length articles" of around 5,000 words (and not more than 6000 words), mainly empirical, analyzing the impact of health sciences and management. In addition, more theoretical, conceptual or methodological papers can be submitted. (b) or examine certain aspects of health science and management in a systematic, comparative manner across a number of countries. In all cases, Authors should provide sufficient back ground and context and discuss their findings in an international context, to ensure that their manuscript can be appreciated by an international readership. Besides these three main types of submissions, Health science and management is interested in publishing debate among the readers in the form of letters and repliques as well as commissioned editorials. For all types of submissions, the material should not have been previously published in peer-review. Publication as an abstract, academic thesis or discussion paper is permissible but needs to be stated in the cover letter to the editor upon submission.